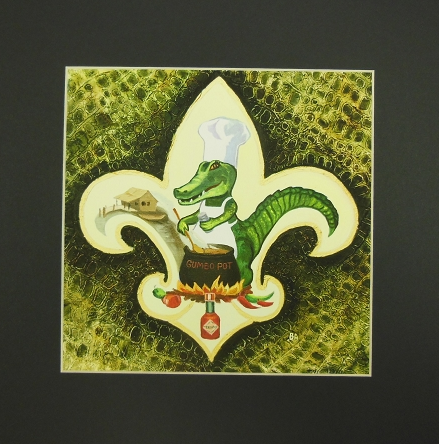 Home > New Orleans Gifts > Gator Gumbo Print by Alla Baltas 12x12"
This is an Alla Baltas print featuring the famous Louisiana Gator cooking a pot of gumbo with some famous Avery Island, LA Tabasco Hot Sauce. This print measures 8x8" and with the matte, it measure 12x12". You can remove the matte or leave it as is.